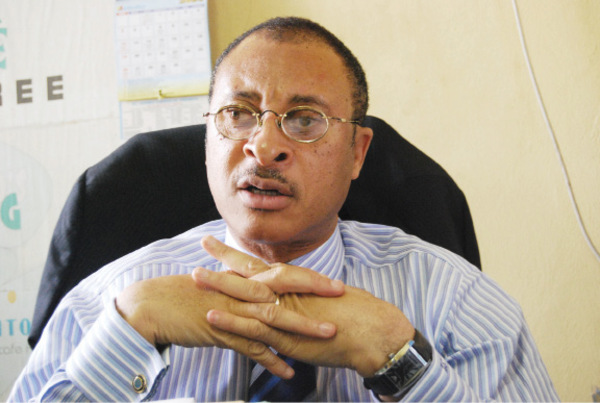 Popular and renowned economist and founder of Centre for Values in Leadership (CVL), Pat Utomi, has described Nigeria as a “classic example of a country walking towards failure”. He made this observation in Awka, capital of Anambra, at a meeting of the University of Nigeria, Nsukka (UNN) alumni association. The erudite professor, an alumnus of the university, said groups and organisations like the alumni could use their wealth of experience and strength to work towards building stronger institutions in the country. “Any society that is not investing in the education and wellbeing of its future generation is seriously heading towards anarchy,” he said. “Nigeria is a classic example of a country that is walking towards failure; the society fails largely because people like you have not done the needful to sustain the country. “And so, when alumni of an institution that means something to the making of the nation does not realise its duty, the possibility is that history will hold them to account.” Utomi also told members of the association that groups like the alumni were important to stop the “looming anarchy”. “If you fail to show leadership, instead of reaping demographic dividend, we will reap secession or anarchy, especially when youths lose confidence in the leadership,” he said. Utomi commended Willie Obiano, governor of Anambra for his “developmental strides and leadership qualities”, urging him to sustain the tempo so as not to fail the Igbo. Earlier, Peter Umeadi, chief judge of the state who was chairman of the occasion, said UNN had produced men of great pedigree, who had and were still making waves in their chosen fields.